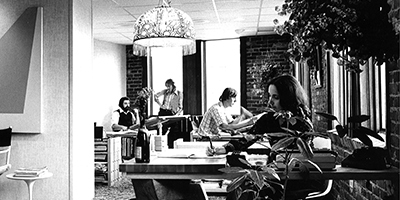 Peter A. Zorzi AIA founded Studio One Inc. in 1974 in his birthplace of Springfield, MA. 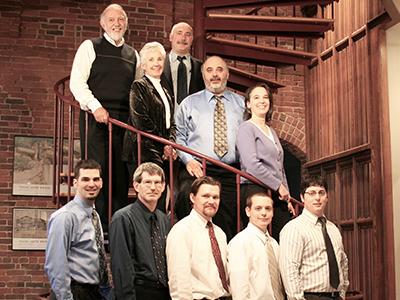 Studio One Inc. is a closely held, family owned and operated firm. We take great pride in maintaining our core-staff as long-term employees, which results in a vested interest for the success of the firm and for the success of each project. The culture of our firm is that of an extended family, which is reflected in our intra-office involvement of our staff in all of our projects. The openness which we are able to discuss project goals and construction challenges increases the transfer of knowledge from principles to support staff and a higher quality project for our clients. We continually foster the professional development of our staff by supporting their continuing education efforts, attendance at relevant training seminars and endorsement in the pursuit of licensure. 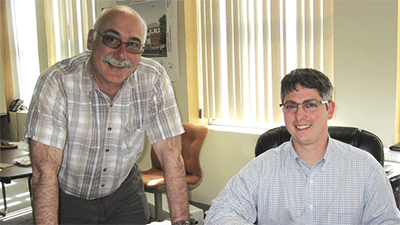 Prior to starting Studio One Inc, Peter Zorzi founded and operated Design Concepts a 27 person architectural firm with offices in both the Boston and Hartford areas. While owning and operating Design Concepts Peter personally oversaw the design and construction of major Health Care Developments throughout the United States. In 2004 Gregory P. Zorzi, AIA succeeded Peter as President of Studio One Inc. Greg, a licensed architect in Massachusetts and Connecticut, and a holder of an NCARB Certificate continues the tradition of attentive, professional service to each of our clients and is personally involved in all aspects for each project which the firm carries out.